After my first post titled “There is a place for our feelings,” a friend asked me to write a blog about spiritual guidance1 and the balance between direction and freedom. I believe there is a need to write about this topic and I do so with the hope that it will reach as many people as possible. This post should not be considered as a reference to spiritual guidance, for wonderful books and articles have already been written on the topic. 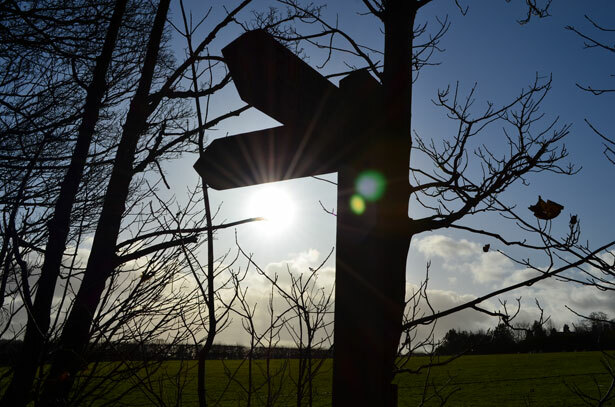 I’m writing mainly about the balance needed in spiritual direction. I will start with my own personal experience with my spiritual guide. God blessed me with a wonderful spiritual guide filled with wisdom, love and care. I have known him for quite a few years, and during this time, he has shown me what a true spiritual guide is like. I have come to consider our time together to be sacramental. In a sense our meetings have become a time when God bestows His grace on me. Out of his wisdom, he shares his experience through stories, patristic knowledge, scripture reference and much more. In a very subtle way, he shares stories about his own spiritual guide—how and what he learned from him. I can tell that some of these stories are almost engraved in his heart and mind, as they come out at the perfect time for the occasion. Scriptures flow from him in a very natural way. I have come to consider this time very special and even mystical. Here lies an important point—he guides from what he himself learned from those who have walked the path before, from his own spiritual struggle, from the stories of the fathers, from his life of prayers and reading. This is exactly what St. Paul spoke to Timothy about: “The things that you have heard from me among many witnesses, commit these to faithful men who will be able to teach others also” (2 Tim 2:2). 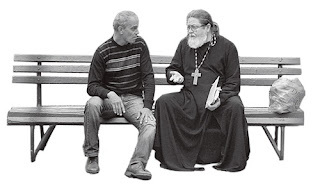 Throughout my years of priesthood, I have seen this beautiful orthodox tradition of spiritual guidance misused, both by those who are seeking guidance and by the spiritual guides themselves. I recently heard one of our high school youth saying, “I can’t wait for this person to be ordained as a priest so I can confess to him.” In a sense this was not new to me. I, for example, was chosen to be a father of confession for a certain person because this person walked into church as I was saying a specific prayer in the liturgy, which is very random. These are just two examples of how this beautiful tradition has been misused. The misuse is a result of misunderstanding the purpose of spiritual guidance. For example, someone may randomly pick a spiritual guide based on age, sharing too many details of one’s life with the spiritual guide, the guides themselves controlling the lives of the disciple1, and expecting the spiritual guide to answer every question regarding every aspect in one’s life. Spiritual guidance within the orthodox tradition is very special and important. It’s one of the main channels of growth and spiritual nourishment. It’s a time for one to pour out the depth of his/her heart and spiritual struggles, to ask questions, and much more. No wonder the orthodox tradition is full of great stories about remarkable fathers who were gifted spiritual guides. We hear of words like “it’s sufficient to look at your face, father,” and “flee my brethren.” Words filled with divine wisdom that lead to the path of salvation. I will not be able to address all the misunderstandings of spiritual guidance as we see it today, but I will address the problems that I commonly see. I am by no means implying that we have totally lost our balance in spiritual guidance; I know for a fact that there are many people who use this great tradition very wisely. There are also many wonderful spiritual guides who know exactly where their privilege starts and where it ends. I think the most dangerous problem arises when a disciple1 seeks a specific answer to a situation or has a desire to be guided in a certain direction. The desired answer might be the most suitable, convenient, and pleasing one, but not necessarily the needed one. The disciple1 may go to their spiritual guide, but upon getting a different answer than what they desired, may move on to seek another guide with the hope of receiving the answer they are looking for. This search might mean meeting several spiritual guides. Receiving the desired answer, they act on it, assuming they heard the voice of God. This might be similar to the story in 1 Kings 12, where Rehoboam sought different advisors, probably choosing what he himself desired, and ended up making the wrong decision. The result for Rehoboam was the split of the kingdom. This is exactly what St. Paul spoke of: “For the time will come when they will not endure sound doctrine, but according to their own desires, because they have itching ears, they will heap up for themselves teachers; and they will turn their ears away from the truth, and be turned aside to fables” (2 Tim 4:3). If we trust our spiritual guides, we should open our hearts to discuss our thoughts, reveal our desired answer and even express our disagreements, but the solution isn’t to seek another spiritual guide to reach a specific answer. This could be very harming. The second problem comes about when a disciple seeks guidance in every little detail of his life. Getting the spiritual guide involved in matters that are very trivial and have absolutely nothing to do with their spiritual life is unhealthy to say the least. The assumption is that the spiritual guide should know everything about the disciple’s life to be able to give proper guidance. The usual reasoning is that the guide is like a parent who should know everything about his child. But even a biological father lets his children grow to make their own decisions. When the Lord was asked by someone to tell his brother to divide their inheritance, his answer was “Man, who made Me a judge or an arbitrator over you?” He refused to get involved in certain matters, but He pointed out where the spiritual illness was: “Take heed and beware of covetousness, for one’s life does not consist in the abundance of the things he possesses.” (Luke 12:14-15). One of the signs of healthy spiritual growth is when the disciple starts to discern between what to share and what not to share, where he needs the guidance and where he will get the guidance from above. It’s important for the disciple to learn to hear the voice of God, through prayers, fasting, scriptures, and wisdom. The third problem is of control from the spiritual guide. By this I mean when decisions regarding marriage, career, relocation, finances and the like are placed solely in the hands of the spiritual guide, or rather when the guide makes all these decisions for the individual. Another symptom of this same problem is the opposite of the problem mentioned above, when the spiritual guide wants to get all the details and be involved in all the decision making of the disciple. Spiritual guidance should be done in the spirit of liberty “where the Spirit of the Lord is, there is liberty” (2 Cor 3:17). The prayer of every spiritual guide for their disciples is to grow, flourish and discern the matters in their lives for themselves. The words of St. Paul to Timothy, “Let no one despise your youth…that your progress may be evident to all” (1 Tim 4:12-15) are very powerful—filled with encouragement, comfort, and trust. 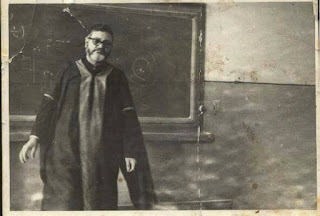 The stories we read in the monastic tradition about total obedience should not be taken out of context but rather in the understanding that these fathers have totally left the world, dedicated their lives to their spiritual fight, lived only in a spiritual environment, submitted themselves to very wise elders, and received their words as divine words. To conclude, I’m writing this because I highly value this great tradition in the church. I truly believe that it’s an amazing opportunity for a disciple to grow. The spiritual walk is a path of experience, experience of the personal relationship with the greatest Teacher and Shepherd. It’s also a path filled with battles against the enemy. Hence, the time spent in spiritual guidance is a time where grace is received, a time when every word is valuable and the spiritual path is made clear. So let’s take it with great diligence. 1 The word “disciple” in this article refers to a person seeking guidance. Also in this article, the words “spiritual guide” are not necessarily referring to the father of confession, but rather a person of a spiritual maturity which the disciple takes as a guide, that may be a layman, clergy or from the monastic rank.